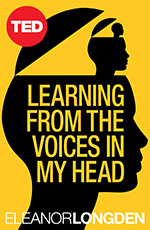 Personal experience is at the heart of the Hearing Voices Movement. All of the accounts in this section have been contributed by members and give you a small glimpse into the wide variety of ways people experience and understand ‘hearing voices’. If you would like to contribute your experiences to this site, we would love to hear from you. For short experiences and reflections – please click on ‘Share Your Views’ and leave a reply to this post. For longer articles, please email us or post a comment on our ‘Share Your Story‘ page. Whilst we cannot publish every single article in full, with your help we will work to ensure there is an ever growing collection of experiences and perspectives represented here.